A young Jimmy Clark dressed as Baby New Year for 1954. 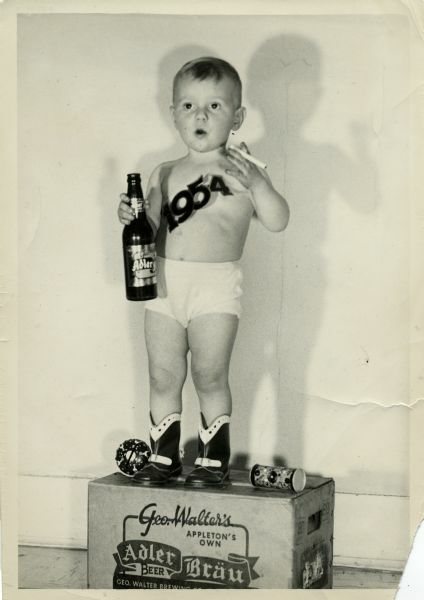 He stands on top of a case of Adler Bräu wearing cowboy boots, underwear, and a sash reading 1954. He also holds a cigarette and a bottle of Adler Bräu. Two toys lay on the box next to his boots. Jimmy Clark is the son of Ralph Clark, who was a bartender at the Midway Bar.